I always enjoy posting to this blog. In fact, like most of us(? ), I have to stop myself from spending too much time posting articles and reading and admiring the handiwork of others. I have a little 'rule' that it is to be done outside of work hours, but I am gladly breaking my own rule today. I have just received two photos of our version of the Borodino church from Julian. This is my first viewing of the completed, scratch-built model that he finished this week. I was so impressed with his handiwork that I had to post it immediately. 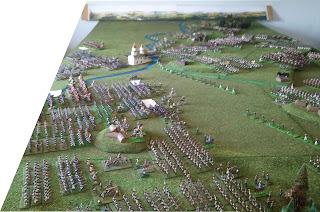 I think/hope you'll agree with me that he has done a wonderful job and it is a fine feature of the battlefield. Would you believe that he had no confidence in his terrain making skills prior to this? Fortunately, for us, he is now 'fired up' to make some more pieces. 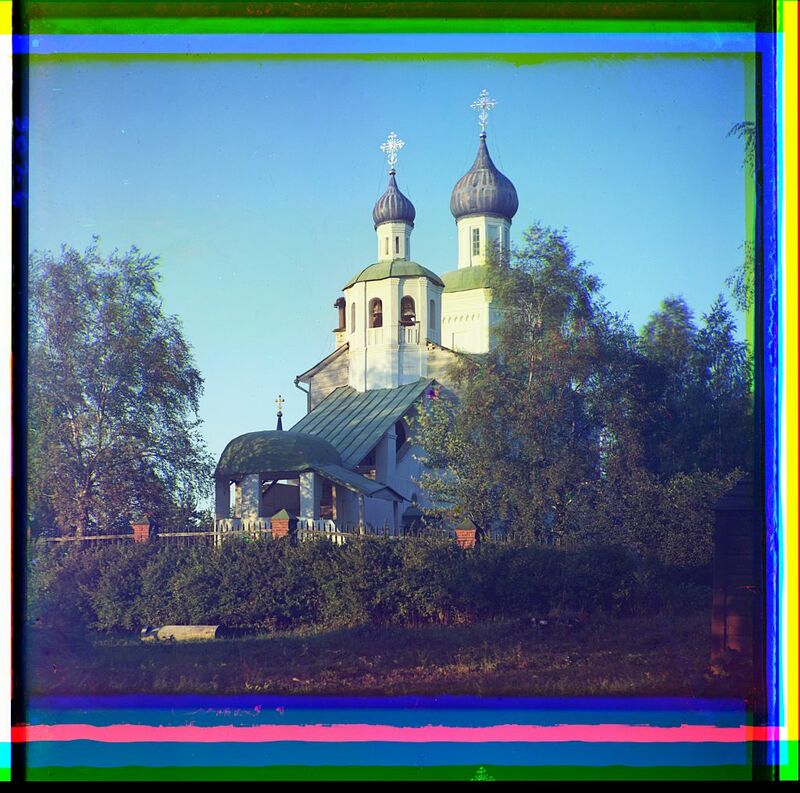 Next project is the convent-church at Maloyaroslavets! For comparison, below is a repeat posting of the photo of the taken by Sergei Mikhailovich Prokudin-Gorsky in 1911. 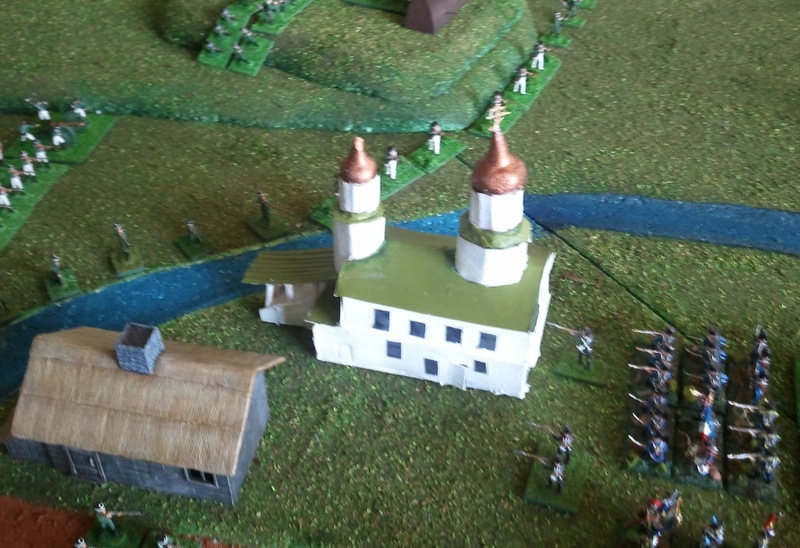 Julian decided, quite appropriately in my opinion, not to put the pagoda on the church as a) it dominates the battlefield already, b) his reading of the Kutuzov 'kneeling incident' suggests that there wasn't even a set of raised steps. He surmised that the architectural style of the pagoda looks more late 19thC compared with the rest of the church. Thanks Julian! I look forward to seeing it in 'the flesh'. It makes a fine piece of real estate over which our little plastic friends will contest come the evening of the 7th! Thanks Peter. I seem to recall you having written about the "dangers" of blogging a few months back! A safe and enjoyable 'addiction' though isn't it?! Excellent work. Would it be possible to post the scenario you are using to recreate the battle. I am in the process of finalizing our scenario and am always interested in seeing how others handle this mayhem. Thanks Chris. I will definitely post the scenario, but it needs a bit of cleaing up first--and may even be changed a bit after this weekend! I'd like to send you our ideas in Shako ANF (once I have it all typed up). We think they would make a fine Shako III! Could you send me an email address please? Sounds good. I don't anticipate a Shako III for a long time but I would be lying if I didn't admit to some collecting of ideas for something like that in the future! That table looks fantastic! I really must look into Shako as it's one of the few rule sets I haven't tried.